Stunning country Inn set in the heart of The Highlands and the perfect base to explore fantastic open roads (minutes from NC500) and scenery on the doorstep. Snug bar offering real ale and local beers, relaxing lounge with log burner, conservatory with lovely mountain views of Ben Wyvis and a beer garden overlooking the river. 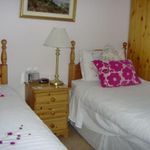 Delicious fresh home cooked food is served and large comfortable en-suite rooms. A short ride to Corrieshalloch Gorge where the river drops 150 feet over the Falls of Measach and Rogie Falls with spectacular cascades from the bridge viewpoint, where salmon can be seen leaping in season. On the A835 heading towards Ullapool, with local attractions, nature reserves and RSPB Tollie Red Kites Natural Reserve. Free Wi-Fi. Drying room facilities. Private parking. 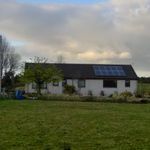 Situated in the beautiful village of Strathcarron which overlooks Loch Carron and surrounded by Scottish hills. nearby coast, lochs, the village of Kyle of Lochalsh, Eilean Donan Castle and the magnificent Skye Bridge. Ensure you ride across the Dornoch Bridge over the Dornoch Firth which takes you upwards to Dunrobin Castle, further North to John O'Groats and the Orkney Islands.